Improve Our Conscious Contact: Are There Two A.A.’s? Present-day AAs—members of the fellowship of Alcoholics Anonymous—certainly can’t be divided into two A.A.’s or ten A.A.’s. At least not the AAs that I met in April of 1986 when I entered the rooms. Nor the AAs I have fellowshipped with over the past 23years. Nor the AAs I have met at International Conventions, regional conventions, gatherings like the “Spring Fling,” Big Book Seminars, Dr. Bob’s Home in Akron, the Wilson House in Vermont, the Snyder retreats in many states, the Roman Catholic retreat for AAs that I led in a monastery several years back, or just the plain old “meetings” that go on interminably in communities wherever I go. The people differ. The behavior differs. The groups differ. But the doors are open to all. Is all this just naïveté? Not on your life. A.A. and its eager AAs fit my needs just fine as I came in, got a sponsor, had my seizures, spent time in treatment, spent time in the psych ward, even spent time in prison, learned about the Big Book, learned how to take and take others through the Twelve Steps, and finally discovered that—in the beginning—it was all about God. And, for me, it still is. No matter what others may do or say or think. I have found plenty of support for this position in the history of A.A., the contents of its Big Book, and the astonishing successes of the 1930’s that put A.A. on the map. I thank God in the name of Jesus Christ that He played a role in the whole founding and course of A.A.’s program and enabled me to find a new life that rested on the truths I found in the Bible. Nobody. Just nobody can drive a wedge that separates us drunks merely because of intolerance or variety or diversity. Not even those who claim we are heretics, cult members, on the path to destruction, or lacking in their doctrinal viewpoints. The truth that I have observed is that there are not two, but dozens, of different types of A.A. gatherings; but all would probably deny that they belong to some separate organization from the gathering next door. Today, the A.A. Traditions still declare that any two AAs meeting for purposes of sobriety constitute an A.A. meeting. And today there are so many different shapes and sizes of these meetings than one can hardly simmer them down to two in number. Or twenty. Or one hundred. Let’s take a quick look at the types of fellowships that have claimed A.A. affiliation through the years since 1935. First, there was the Akron A.A. “Christian Fellowship” founded in 1935. Its basic ideas came from the Bible. Its five required elements were summarized by Frank Amos and published in A.A.’s present-day literature. Second, before long, there were—according to Bill Wilson’s writings—some six word-of-mouth programs that preceded Wilson’s 1939 Big Book. And any careful review will disclose that none of the alleged six was anything like the Akron program, but they certainly involved A.A. affiliation. All the renditions differed in language and in principles—something Wilson himself admitted as he described them. By 1939, Bill had fashioned his own program primarily from his conferences with Rev. Samuel M. Shoemaker, Jr. and hence primarily from the Oxford Group’s twenty-eight life-changing principles. 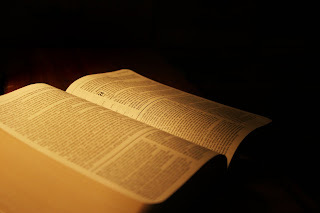 Then, just before the Big Book was presented for printing, there was a controversy and a compromise that spelled out a program without a necessity for God. No sooner was this published than Clarence Snyder fashioned a highly successful program in Cleveland—one with a documented 93% success rate--that combined the Bible, the Oxford Group’s Four Absolutes, the Big Book, and the Twelve Steps. It certainly was about God, as an examination of the Cleveland Central Bulletin issues for the period quickly disclose. Again, nobody was claiming this was a non-A.A. program. In fact, Bill Wilson wrote that its results were of the best and far exceeded the fellowship growth elsewhere. Following this, Sister Ignatia and Dr. Bob worked together on some new and very brief procedures during the short patient stays at St. Thomas Hospital; and some five thousand apparently followed them. But nobody has claimed the St. Thomas five to seven day hospital stay produced a new or different A.A. Then—during Bill’s long years of tremendous depression—all sorts of approaches sprang into view. There was the work of Richmond Walker. There was the work of Father Ralph Pfau. There was the work of Ed. Webster. There were the four pamphlets that Dr. Bob encouraged AA of Akron to publish. There was finally—after Dr. Bob and his wife Anne were dead—the turning over of the Society and the publication of Twelve Steps and Twelve Traditions. But nobody claimed that any of these constituted the first, second, tenth, or unnumbered A.A. Fellowship. A.A. changed. The fellowship changed in composition. But AAs were still AAs. And they still are. One can attend meetings anywhere in the United States and Canada and believe he is in an A.A. meeting. And many that I have communicated with have made it clear that A.A. is still A.A. in England, Sweden, Australia, Japan, and Canada. In fact, the only two A.A.’s that I know of seem to exist in Mexico, but I’ll leave that to other reporters. The point is that as A.A. grew from the original, highly successful group of forty pioneers as of November, 1937, hordes thereafter poured into and out of A.A. A.A.’s corporate structure itself became protective of its copyrights, trademarks, symbols, and “Traditions.” This “protection” has been preserved by an international structure that is not even directly answerable to the garden variety of drunk who attends meetings in jails, hospitals, rehabs, treatment centers, and A.A. meetings. But A.A. is still A.A. no matter how much rigidity human beings try to impose. The more commentators try to divide A.A. into this or that category, the more they distort the composition of this basically unorganized group of drunks who come into the rooms in unbelievably bad shape and, if they really try, and, if they really seek God’s help, can achieve a victory of sobriety and new life that they never believed possible. The range of dividers ranges from those who say that if you mention the Bible or God, you will get drunk to those who advocate going elsewhere because they can’t find Jesus in A.A. Some say A.A. is religious. Some say it is not religious. Some say it is “spiritual but not religious.” But it’s still A.A., whatever they choose to label it. No, there are not two A.A.’s. But today there are tens of thousands in A.A. who have differing criticisms, differing viewpoints, even different types of “programs.” But most of us don’t even know about these when we first climb on board. We just welcome the love, friendship, and service that surround us; and we pay very little attention to those who are climbing the ladders of authority, but not really governing anybody. I suppose you could say that “Give me liberty, or give me death” does not describe A.A. as such. But I also think you can say, “I didn’t want to die; so I’ll give A.A. a try. I did!